It starts slowly, just a little experiment, maybe a curious attempt at a simple loaf. Nothing out of the ordinary, just flour, salt, yeast, water and time. You find that it works. It works better than you could ever dare believe it’d work. Your bread tastes real, substantial, honest. It tastes of your toil, of every stretch you pummeled into the dough, every second you waited for it to rise, of the care you took in turning it out onto a hot baking sheet. It tastes like bread should taste, how it’s always tasted, how it always will taste. There’s nothing better than those first loaves. They won’t be technically perfect, but that doesn’t matter … it’s your bread, and it’s the most important loaf in the world because it’s the loaf that turned you into a baker. Soon, there’ll be more. Pizza, focaccia, naan, croissants, batons, baguettes, bread packed with seeds, with apples, with butter. 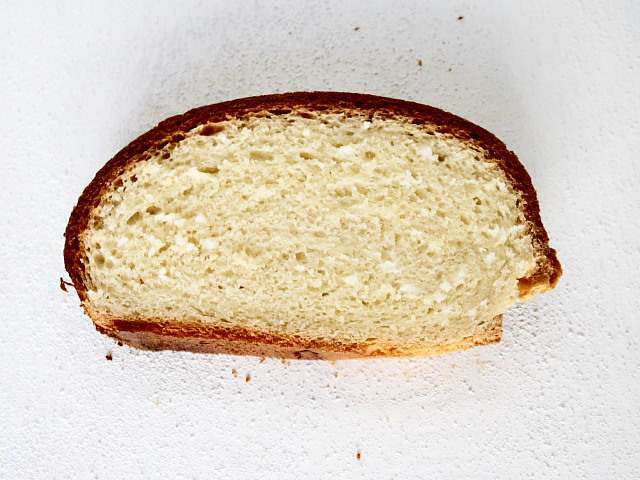 This is a good place to start to move on from a basic white bloomer because it uses substantially the same techniques, but with some added ingredients and twists that make it something entirely different, entirely authentic and wholly delicious. 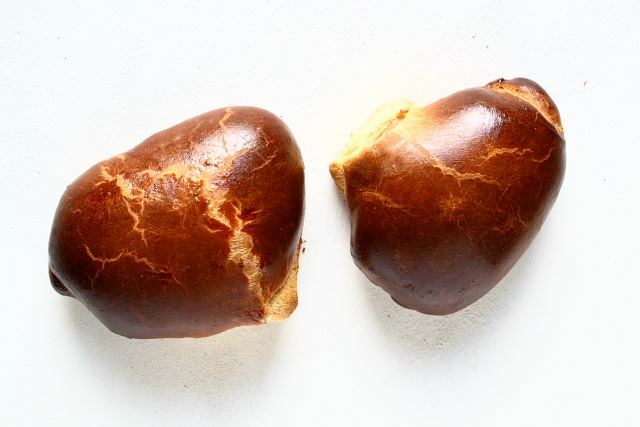 Brioche is a classic French loaf, a rich bread packed with butter, milk and eggs, and it’s deceptively easy to make. Bringing the dough together is just a matter of mixing together 400g of strong white flour, 5g of instant action yeast, 10g of salt, 100g of softened butter, 90ml of warm milk, two tablespoons of caster sugar and four medium eggs, beaten in a large bowl until the dough starts to form, then turning it out onto a floured surface and kneading for ten minutes. The dough will have a yellow edge to it, and a glistening, satin finish. It feels soft, and warm. It feels rich. This bread is better if it matures overnight in the fridge … it’s quite pliable after the first kneading, and that elasticity makes forming a loaf tricky. A night in the cold air of the fridge helps the dough stiffen, and lets it rise and mature slowly. Slow bread is invariably better bread. In the morning, cut the chilly dough into two pieces and shape each into a loaf. The method on this post is my favourite way of doing this – it folds and tucks the bread into a loaf with plenty of surface tension, which provides a tight, shiny crust in this loaf. Leave the shaped loaves on a wooden board, covered with a plastic bag or some cling film for about four hours or so, or until they’ve doubled in size. Remember that the dough is cold, so it’ll take time to wake up and become active again. Keep the proving loaves in a warm place, away from any draughts. Glaze the risen loaves with a wash of beaten egg with a little milk added and bake in a 200c oven for ten minutes, then for another thirty minutes at 180c. The loaves will be a deep golden brown. Let them cool completely on a wire rack, then use them for toast. …it’s a cheap but authoritative book that will set any baker off on the right path. There’s no butter in the recipe – is that correct please? Good spot! There should be 100g of softened butter in there as well – my mistake…I’ll fix it properly tonight. Did you put all of the four egg or just the yolk? Yep, all four eggs, the whole lot. This looks great, although I can’t seem to find the method for shaping the loaf – was there meant to be a link? Yes, there was indeed. I’ve fixed it now. Sorry about that.